SERVICE RANGE 38" - 55"
* MOST of our yard ramp rentals are also available for purchase. Please contact us at 888.977.4224 for additional information. 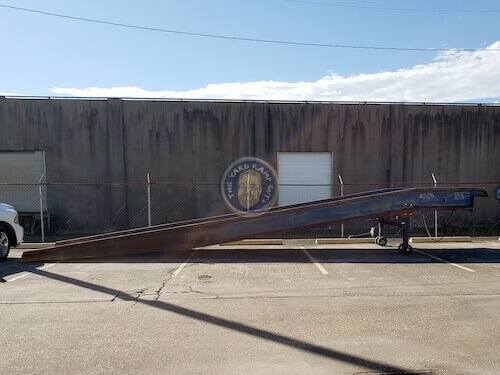 Direct from the factory or parked at one of our depots, this ramp is no more than six months old. 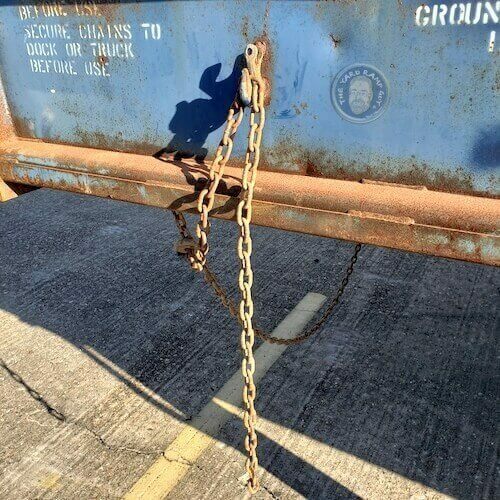 It includes safety chains and a mobility device (if applicable). There are no blemishes other than limited oxidation from normal exposure. Hand-cranks or hydraulic systems are new and function as such. The same as “New” but it left the factory more than six months ago (and/or has been parked inside and shows little aging). 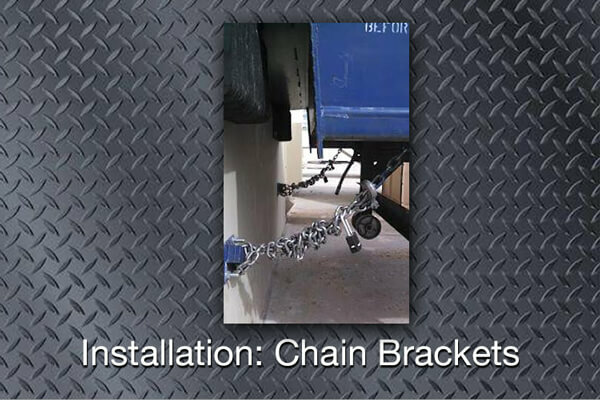 It includes safety chains and mobility device (if applicable). There are no blemishes other than limited oxidation from normal exposure. Hand-cranks or hydraulic systems are also like new and function as such. 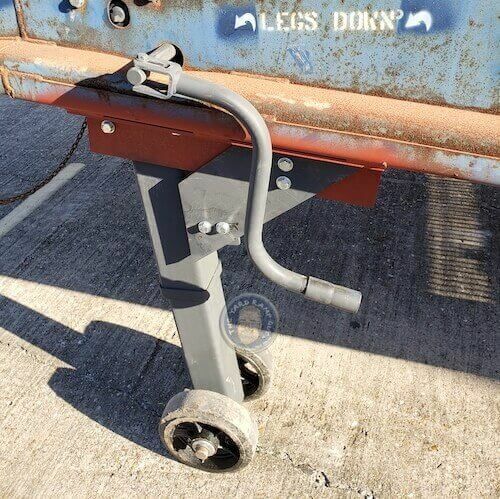 The same as “Like New” but this ramp has been parked outside and has normal oxidation. In every other way it’s terrific. The same as “Excellent” but this ramp is probably 4-15 years old. It shows reasonable wear and tear. Hand cranks or hydraulic pumps may require general maintenance but no major repairs. Its mobility device (if applicable) and safety chains are included. The same as “Very Good” but this ramp shows its age and use like a grizzled warrior. 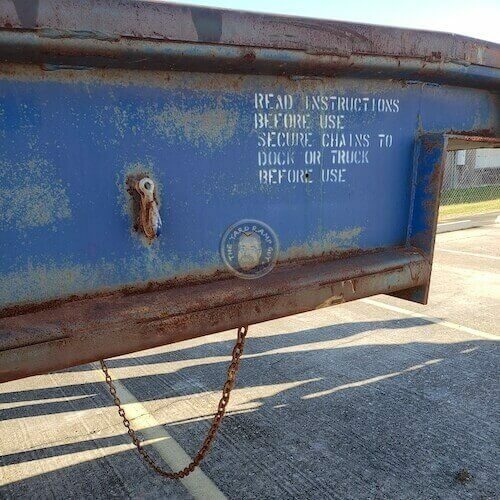 Buyer may need to purchase or fabricate a missing mobility device or set of safety chains. General maintenance to hydraulics would be highly recommended (really, for any used ramp to establish a maintenance baseline before using). 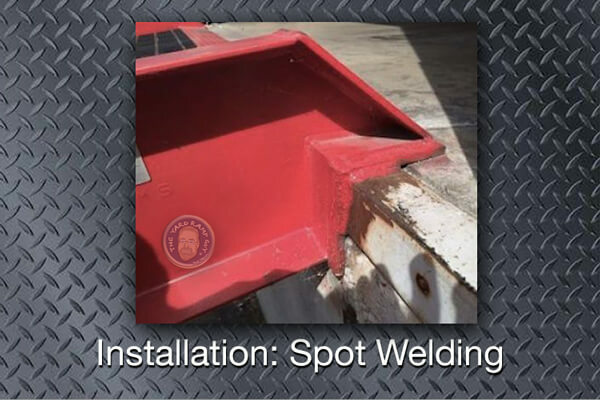 Some repairs may be in order: dried out gaskets or hoses, a bent section of deck or apron, a few spot welds. 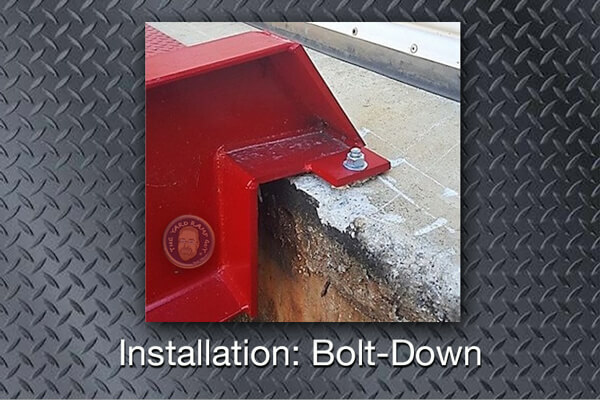 Though a little long in the tooth and not the prettiest, it is structurally sound and will provide a reasonable number of additional years of service. Photos shown are usually of actual ramp. 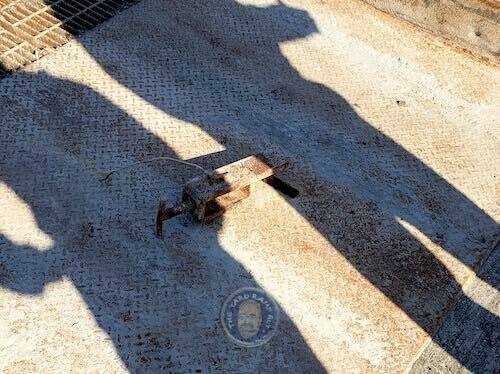 We attempt to post photos highlighting the most recent known current condition of each ramp. Where we do not yet have photos on the condition of a ramp, or if the ramp is considered Like New, we post factory stock photos. Rental Rates and Sale Prices are subject to change. Freight is not included in posted pricing. Freight will be quoted in writing. 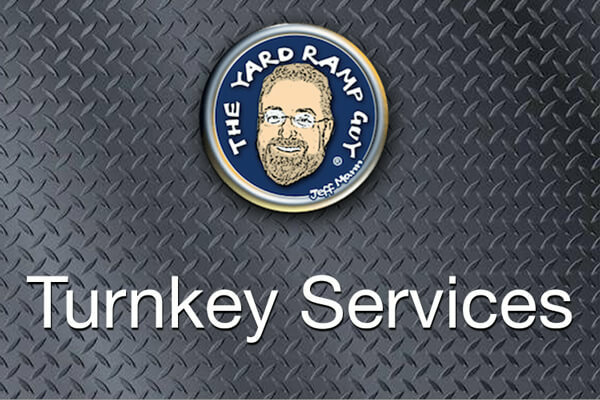 All transactions require customer's signature on a written Sales Quote or Rental Agreement from The Yard Ramp Guy. Renters can expect all mobility and leveling accessory parts to be included with their rentals. Responsibility for maintenance and repairs of RENTAL RAMPS is noted within the Terms & Conditions of the Rental Agreement. All used ramps are sold or rented as is. 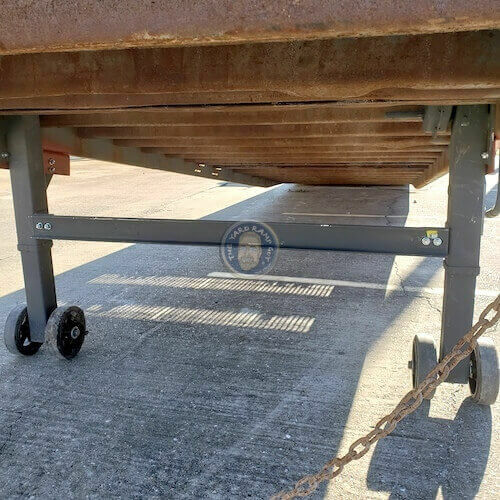 Used Ramps SOLD by The Yard Ramp Guy do not include any warranty related to the ramp’s mechanical and/or physical condition. Buyers and renters are welcomed to inspect the ramp prior to signing Sales Quote or Rental Agreement. 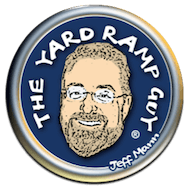 Upon request, The Yard Ramp Guy will arrange site visits. Ramps are committed on a 1st come/1st served basis. Reservation of ramp is guaranteed with signed Sales Quote or Rental Agreement AND payment. 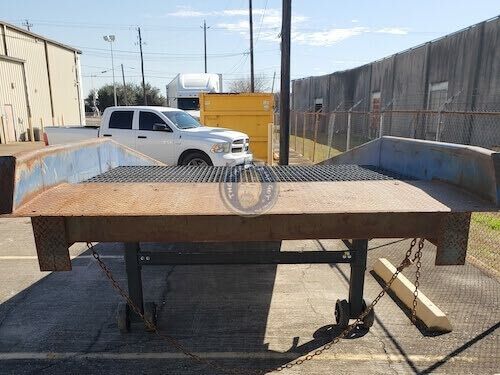 All used or rental ramps are subject to prior sale. 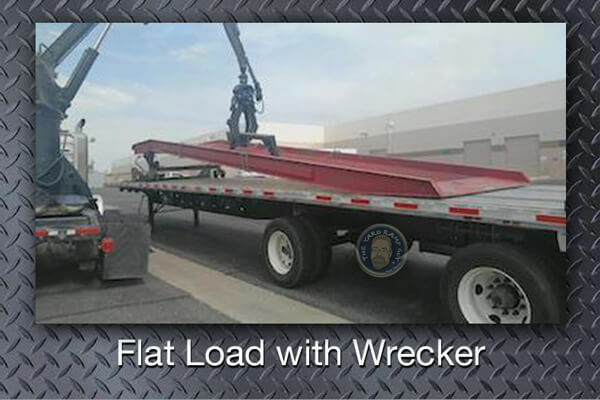 Allow 1-3 days for dedicated flatbed. 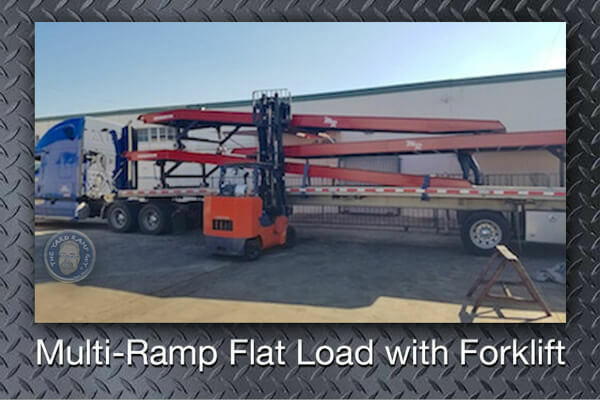 Add 3-5 days for partial load flatbed. Transit time varies dependent upon freight lane, miles, national holidays, traffic conditions, and weather. 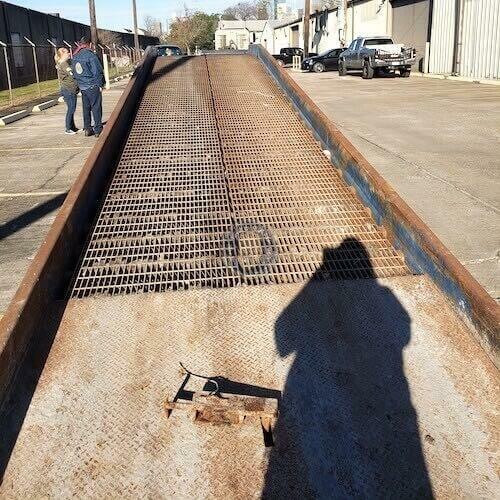 The Yard Ramp Guy is not liable for any loss of business due to a ramp arriving after the expected date and/or time. Contact us at 888.977.4224 to discuss your needs. Click thumbnails to enlarge pictures. With yard ramps located throughout the United States, most of Yard Ramps, Inc. inventory sits within 250 miles of 90% of the population. This results in considerably reduced delivery and return freight costs. 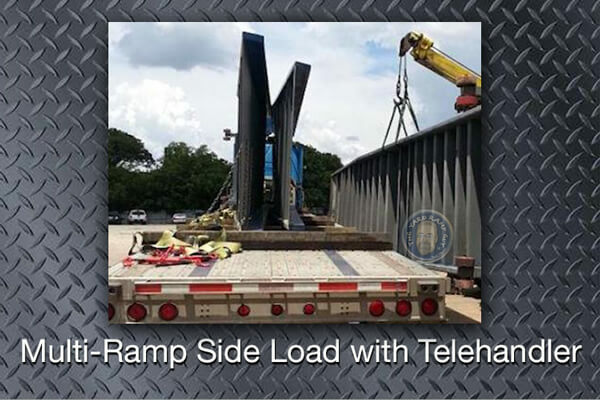 Call us to discuss all ramp purchase and/or rental options at 888.977.4224.